It is very important to ask the question, “How does sin trap and hold us”? Quite simply, knowing the answer to this question means you are aware of the trap and can prevent yourself from being caught in it. A trap is designed to capture you and keep you captive. Knowing the trap will be the difference between being caught in it and escaping it. 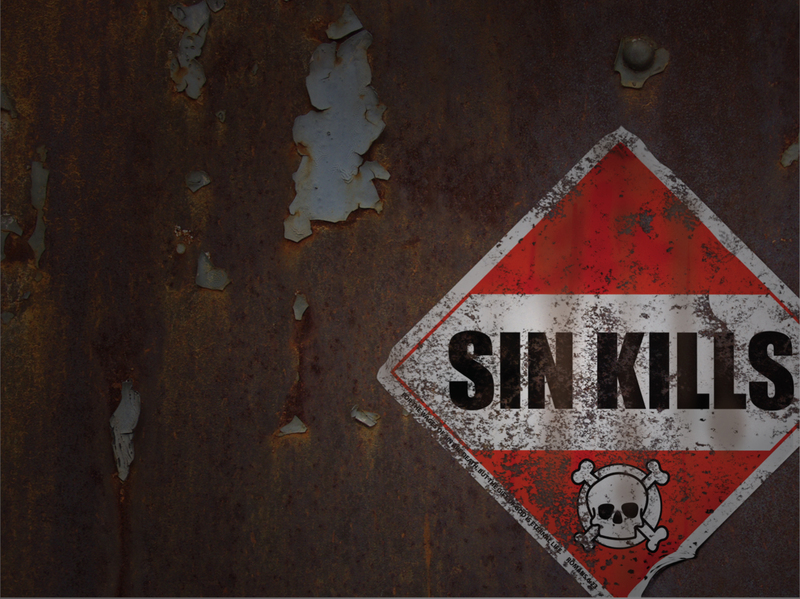 Let’s look at 3 ways sin can trap us. Firstly, our own evil desires can trap us. Secondly there are snares set by others and finally, we can be enticed by the devil. This passage clearly indicates that our own desires entice and lure us into sin. We like to blame others when it comes to the consequences of sin. When we do this we have not dealt with the real issue, all of which is birthed in you as a result of evil desire. Selfishness and a desire to fulfil our own needs with little regard to anyone else is the “lure” that gives birth to sin. And sin, when it is fully grown brings forth death. Don’t allow sin to go unchecked in your life. Scriptures tell us that the flesh sets its desires against the Spirit (Galatians 5:17). This is a constant and daily battle we wage. Victory in this battle is only achieved when your focus shifts from “self” to “Christ”. Set your mind on things above and not on earthly things (Colossians 3:2). When Christ becomes your true desire then there is no room for the flesh. Everything becomes about Him and less about you. Amen! The problem with sin is its ability to keep you captive. The good news is that once you are born again in Christ Jesus, you are no longer a slave to sin. Instead, you are a slave to righteousness (Romans 6:18). Sin becomes powerless to hold you captive because you no longer serve sin, but you now belong to Christ and serve him. It is the power of the Holy Spirit that keeps you from being entangled to sin, the sin that clings so closely to you. It is the sanctification process of the Holy Spirit that gives you strength to run the race with endurance (Hebrews 12:1). So, allow the Spirit of Christ to rule and reign in your body and not sin. Lay aside every evil and abstain from fleshly lusts which wage war against the soul (1 Peter 2:1,11). This does not mean that you need to put yourself in a bubble and exclude yourself completely from the world. If that was the case then you would need to be taken out of this world (1 Corinthians 5:10b). Rather, you are not to “join” the world in its activities. You are to be an ambassador of Christ and separate from the world. Friendships with non-believers must be one with clearly stated boundaries. This will ensure that you do not fall into worldly activities that can open a door to the enticements of sin. Our greatest example is Jesus Christ. Jesus never condoned sin nor did He participate in the activities of the ungodly. Instead, Jesus lead a perfect sinless life showing kindness to sinners with the intention of leading them to repentance (Romans 2:4). He spent time with them, not joining their sinful ways, instead presenting the good news. In like manner, always know where your boundaries are. Examine yourself and know the desires or temptations that can lure you and trap you. It is very important to watch yourself. I have heard many stories of people, who have fallen back into sinful behaviours they had once overcome. People who had seemingly overcome drinking and living a victorious life, falling right back into addiction because of letting their guard down and placing themselves in a position of compromise. “Sin crouching”, gives us a picture of a predator following its prey. The prey is unaware of its immediate danger, and if not watchful, it will be caught and killed. Likewise, sin is at every turn and corner of your life and its desire is contrary to you. You must rule over it. The devil tries to entice and trap you in sin. There is a difference between the first two traps and this one. The first two deal with sin that you know exists around you often allowing yourself to be trapped by its lures, whether it be a selfish evil desire or one that presents itself to you by the world around you. The devil tries to deceive by questioning your faith and shaking the foundation of your trust in Jesus Christ. If the devil can get you to question the word of God and His promises, then he is successful in trapping and deceiving you. Satan tried this on Jesus, just as he did on Eve in the garden. The difference is that Jesus used the word of God to fight back. Matthew 4:1-11 shows us that with every deceptive temptation which was presented to Jesus, He fought back with “It is written!”. In contrast, Eve, when tempted, fell into the deception of Satan, rather than trusting God, by faith, and saying “God said!”. Remember, when Satan tries to trap you, he does so through deception. Often times you don’t see it coming. In fact, the word of God tells us that Satan disguises himself as an angel of light (2 Corinthians 11:14). This is a clear warning, given so that you are equipped to identify such tactics. 2 Corinthians 11:3 says ”But I am afraid that as the serpent deceived Eve by his cunning, your thoughts will be led astray from sincere and pure devotion to Christ.” This is a clear warning so you are not deceived by the cunningness of Satan. How to protect yourself from the traps of sin? We have seen a few ways we can be trapped by sin. What are some of the ways we can overcome these traps and be victorious over sin? Be careful what you allow your eyes to see. It is the avenue through which an evil desire is birthed. Overcome temptation and rule over sin, the sin that is crouched at the door whose desire is contrary to you. Next, a child of God is sanctified by the Holy Spirit. The Holy Spirit sanctifies by washing the heart and renewing the mind (Titus 3:4-7). The Holy Spirit sanctifies by attesting to the reality of a believers faith and guarantees his inheritance in the future completion of salvation (2 Corinthians 1:21-22). Allow Christ through His Spirit to rule and reign in your life. He will help you in your weakness and enable you to stand up and escape temptation (1 Cor 10:13). In conclusion, I hope this will equip you to guard yourself against the traps of sin, that you may stand strong on the foundation of our Lord Jesus Christ. Aiming to glorify God in everything you do because you love Him. Don’t do anything out of a religious act because such acts hold no value. When you do it out of pure love for Christ and when He is your treasure then you will be victorious in praising His name. Why do we need to confess our sins if they have already been forgiven (1 John 1:9)?